To create a new module position, you have to open default template root via Extensions > Template Manager > activated default template link and edit the templateDetails.xml file. 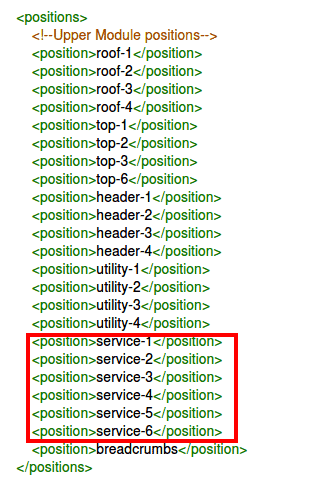 Once you opened templateDetails.xml, you can notice all built-in positions are wrapped within <position></position> tag. Now add your prefered module position name in <positions></positions> tag. I termed my module position name “Service”, Have a look on image below, how I wrapped module position name in <position></position> tag. To create your new module position setting, scroll a down to the layout Setting area, copy the following code and paste in layout setting section. I have named my position Sevice, just rename Service with your prefered one. <field name="service-chrome" type="moduleschrome" max-mods="6" class="remove-lbl"
Now head over to the Template Manager from Extensions Menu, click activated template link from Style column (My active template is Bolt), click on layout tab from left sidebar, refresh the Layout Manager hitting ctrl + F5 and hit Save and Close. 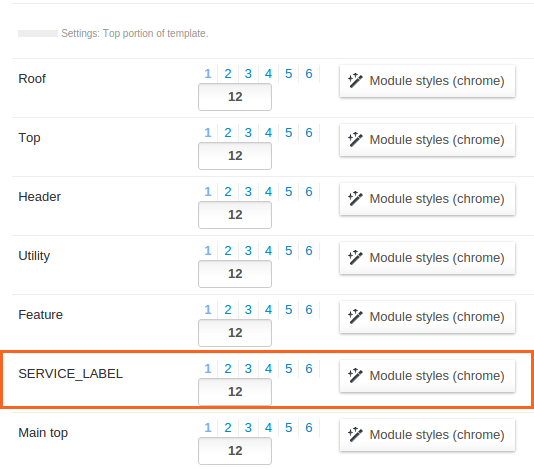 Now you can see in the image below our custom module position SERVICE_LABEL has been created.